So I'm eagerly awaiting some concrete test results on the Spectre. I can't believe there hasn't been a single review yet with some good benchmarks. Yup, I've been checking youtube and google daily. Currently have a giant Asus ROG G752 laptop for work and I'm sick of lugging that giant monstrosity around. On a side note, I found that you can use code KC5SP0CT1 on the dutch HP store for extra 50€ off. Starlight5, Atma and hmscott like this. win32asmguy, hmscott and RhyStar like this. What was the CPU power? That section is collapsed in HWMonitor. Oh, I don't know. I'll check it again and see. RhyStar and hmscott like this. 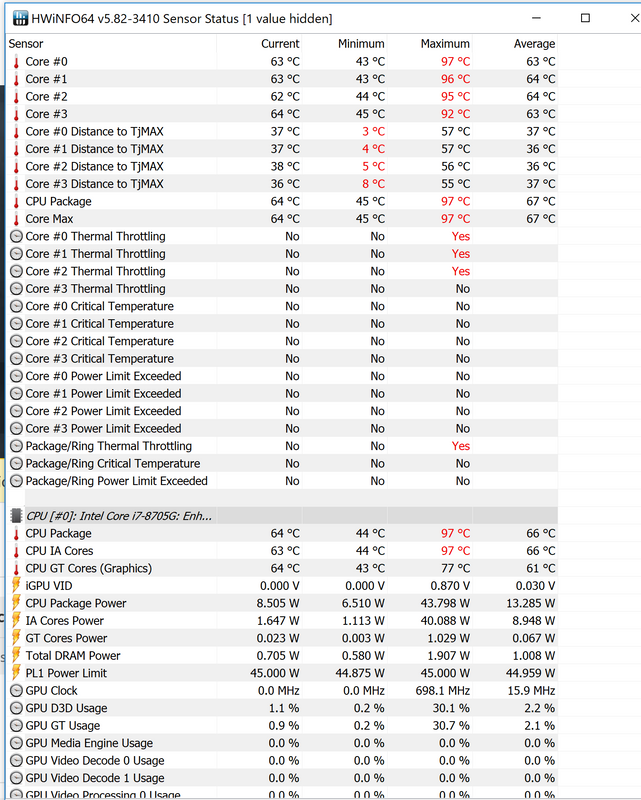 -50.8 undervolt stopped the throttling. I'll try some more tomorrow and see how low I can get it. I couldn't stop trying. 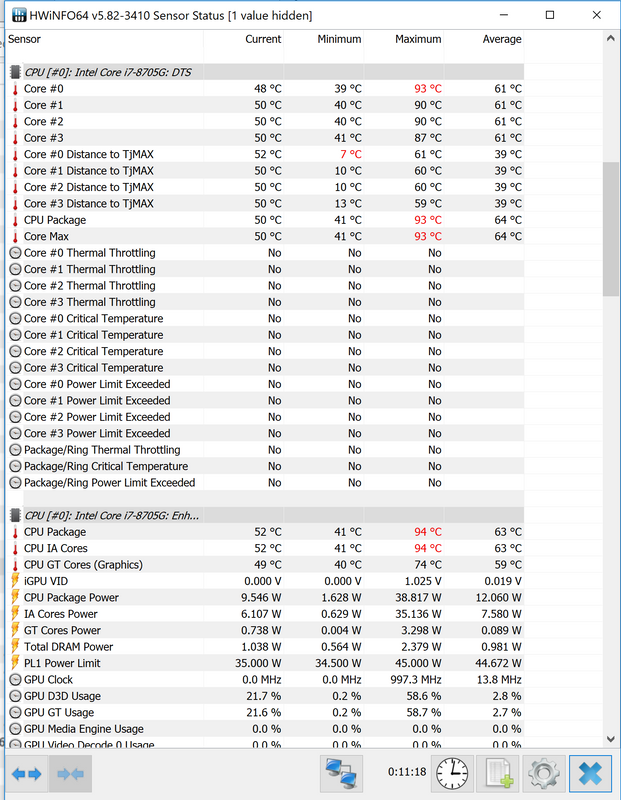 A -100.6 undervolt in throttlestop brought the temps from 98c to 88c. 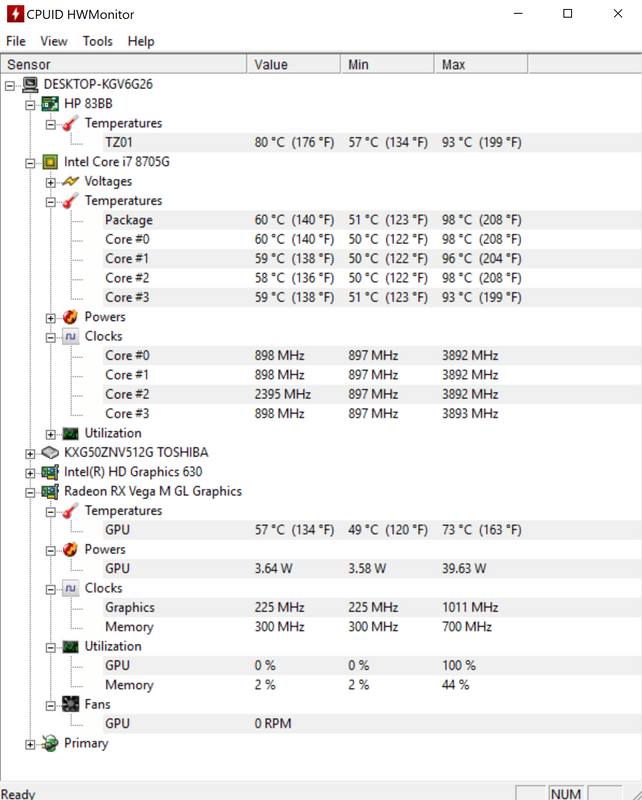 I have it on my cooling pad for the first time now and it's staying about 38c while I'm here typing. And now I'm done for the day. Hi. I was looking to buy this. 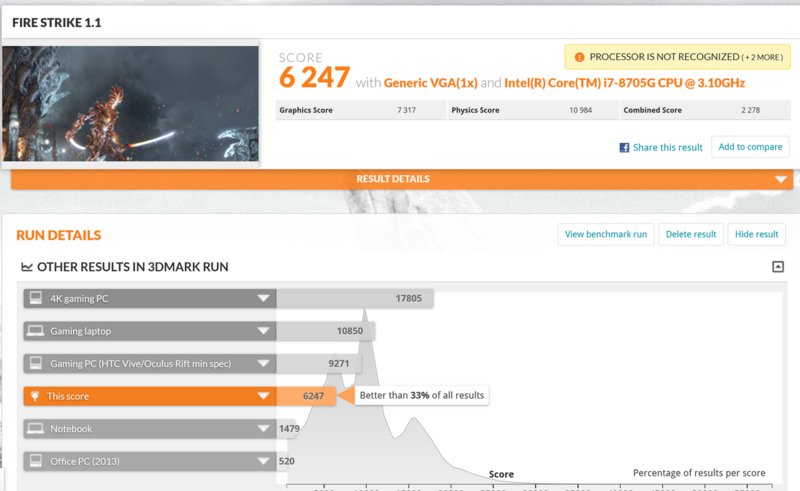 Can you please do some CPU related benchmarks like Cinebench to compare it to 8550U? Also, is the Toshiba SSD fast enough? Does it compare to the Samsung SSDs? 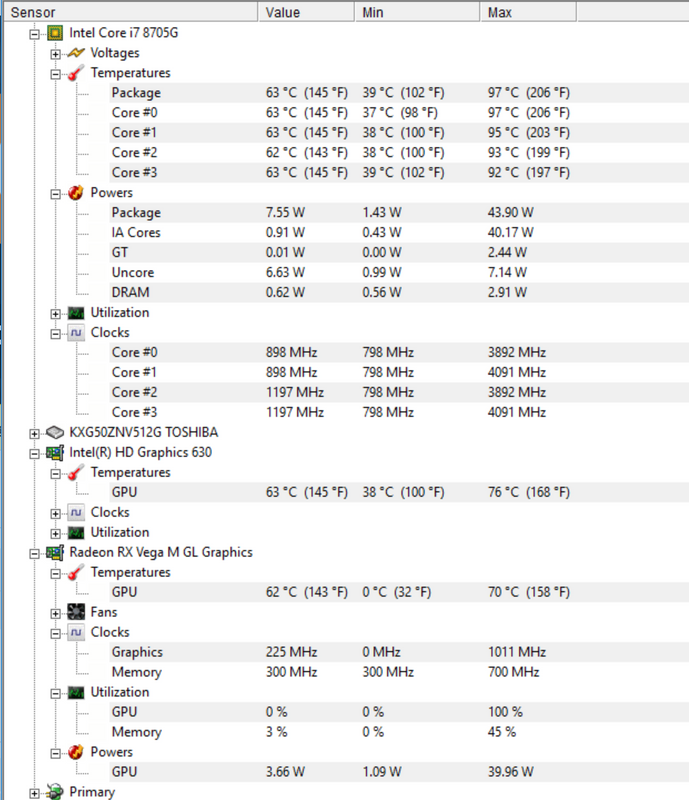 Maybe there is a little more in the tank, it's a new CPU so it's an unknown, but other recent CPU's have undervolted regularly into the -150mV and more range.